Today I think that sun is shining brighter, the sky is bluer, and the autumn leaves are more colorful than ever before. I feel weak with relief. My spirit is trembling with relief. My legs feel as if they can barely hold me up. I feel as if we have stared into a nightmare, into the face of Death…and Death blinked and backed away. This isn’t the first time Death has blinked. I didn’t lose the baby. I spent most of my pregnancy bedridden. Poor EJ was working 12 and 16 hour days and having to come home and take care of me. Difficult days. I went into labor at 12:30 a.m. on my due date. 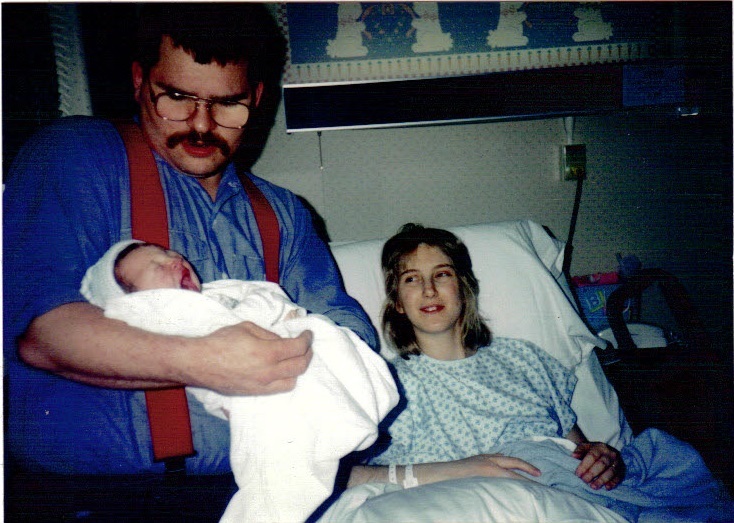 JJ was born about 12 hours later. The birth was rather difficult. JJ had broad shoulders and he got stuck in the birth canal. I tore and it took a long time to sew up the tears. I was tired and scarcely aware that JJ wasn’t breathing when he was born. The worst thing was that the person who was supposed to fill the oxygen tank hadn’t done her job. It was empty. A call went out, “Get oxygen up here STAT!” Apparently the woman was on her break and didn’t rush to respond to the emergency call. The medical staff used a mask and a squeeze bag to put oxygen into JJ’s body. Finally, he coughed and began to breathe and cry. Our precious baby was alive. He had made it. We challenged death, and again Death blinked and backed away. A week after JJ was born, I began to hemorrhage badly. EJ rushed me to the hospital. The medical staff was able to stop the bleeding, and they sent me home a few hours later. Two days later, I began to hemorrhage again, even more badly than before. My blood pressure dropped to nothing. I needed emergency blood transfusions. Later, EJ told me that I kept talking about seeing a beautiful field filled with beautiful flowers. 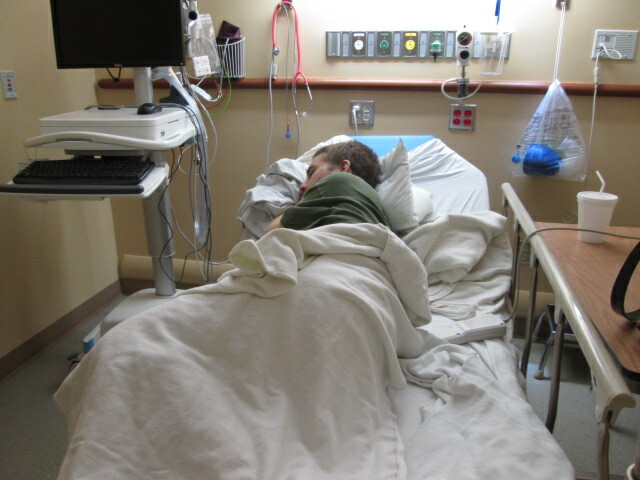 The doctor and nurses were crying as they tried to keep me alive. I remember EJ kept squeezing my hand. “I love you,” he repeated. “Don’t leave me. I love you.” I remembered feeling slightly irritated. Part of me wanted him to let me be, to stop bringing me back. The other part didn’t want to leave him or my baby son. I came back. I lived. 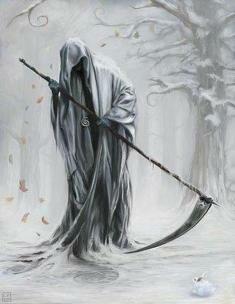 Death blinked again and backed away. And you, my friends, linked arms and faced Death with us, supporting us with love and prayers. And Death blinked and back away. I am not unchanged by this experienced. This experience has brought me, EJ, and JJ even closer. And we are humbled by the love of God expressed through a worldwide outpouring of love from friends and strangers. I have an even greater compassion for those with sick loved ones. Our ordeal lasted about three days (three horribly long days that feel like one very long day), but many must endure weeks and months and years of suffering with a loved one. And at the end, Death doesn’t always blink and back away. I am amazed at the incredible strength and faith of these people. Once again, we are going to make it. Reblogged this on The Belmont Rooster. Your wonderful faith has brought you all through!! So happy for you!! Amazing story. May the God who created all things continue to hold you in his loving arms. Thank you so much, acuriousgal and lucindalines! I really appreciate your comments.